There’s a whiff of the whodunnit about this tale; The Case of the Exploding Screwcap perhaps, or Who Killed Corky the Wine? A small news report appeared in the Scotsman newspaper: “Corks to pop off as wine seller offers a new twist.”. The story went on to reveal that Oddbins, long-established as the the UK’s most interesting High Street merchant, “has announced that next year it will sell 40% of its wine in screw-top bottles, abandoning the traditional cork”. Now the subject of natural cork Vs. screwcap is one that gets activists on both sides of the argument all hot and bothered on a regular basis. Every rumour or published bit of data is immediately trumpeted by one side or the other as deeply significant. But this was different: for the last 30 years Oddbins has been the leading influence in shaping the UK’s wine-drinking habits, and if it had a Mission to convert almost half its range to screwcap, then the implications for natural cork were clear. It also raised some troubling questions: how would the 40% be achieved? By cutting the range of wines? By forcing suppliers to switch? By abandoning the most interesting wines under cork to fill the shelves with big brands under screwcap? Clearly, the facts needed checking on this one, so I made a call to Oddbins and within an hour or so, a very different, but equally interesting story had emerged. I spoke to Grant Ramage (right), senior Wine Buyer for Oddbins, and the man who had been quoted in the Scotsman article. “It’s a mis-quote” was the first thing Grant told me, “the same story ran in the Evening Standard yesterday, and there are a couple of significant mistakes.” Mistake #, is that the “40% by next year” claim was pitched as an Oddbins policy, when in fact it is purely a prediction. Mistake #2 was that Oddbins forecast was for 2006, not 2005.The prediction is based on patterns Oddbins has observed over the past three or four years. Grant revealed that the number of screwcapped wines had more or less doubled every year since 2000, and that the figure of 40% was purely a mathematical prediction. Oddbins had included graphs to show this at a recent press tasting, which was the initial seed that spawned the errant newspaper report. The “core range” at Oddbins (i.e. 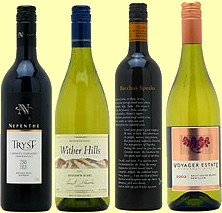 the range that is widely availble, held in warehouse stock and continually re-ordered) is around 800 wines. Of those, 100 are currently under screwcap; the rest are under natural, or synthetic cork closures. Though Grant confirms the 40% forecast by 2006 is realistic, he suggests the march of the screwcap will slow significantly thereafter. Once a core of New World and more progressive Old World producers had made the switch, Grant predicts there will come a stage when the ‘movement’ loses its current momentum. “Take Chianti for example”, he said, “the DOC rules have it written into law that bottles must be stoppered with natural cork. 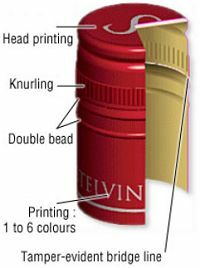 It is not difficult to guess that whole swathes of European fine wine production will not change to screwcap”.As to fears that Oddbins will restrict its range, or “dumb-down” in order to push screwcaps on the public, Grant was convincing in his denial: “The average bottle price of our screwcap range is £8.72. Does that sound like this has anything to do with lowering price or quality?” In fact, for wine producers, the switch to screwcap is all about improving quality: “why risk a year’s work in the vineyards and winery for the sake of a 10 cent lump of tree bark?” is how one producer put it to me recently. Whereas some of the mega-players of UK wine retailing (i.e. supermarkets) might have the sheer buying muscle to coerce their suppliers into changing closures, bottles, or even wines, Oddbins deals mostly with what Grant calls “small- to medium-sized suppliers” and any switch to screwcap is likely to be producer-driven, or a co-operative project. “We can underwrite a move to screwcaps by placing a significant order, and in fact we have supported the initiative since 2000, when we put our money where our mouth was by supporting the Clare Valley producers”. And what about the reaction of Oddbins loyal customers? Grant says that every time a wine from their core range has switched to screwcap, sales have either held, or increased.This seemed a good point to ask Grant about the broader picture on Oddbins and their range. In the late 1990s Oddbins was owned by the giant Canadian drinks group, Seagrams. Oddbins collection of quirky, hand-knitted shops with their drop-out student staff and massive and eclectic range was not the most comfortable fit with Seagrams portfolio of international big brands like Martell Gognac, Chivas Regal Whisky and Jacob’s Creek wines. It was an open secret through the late 1990’s that a large “for sale” sign hung permanently round Oddbins’ neck. In fact, Seagram’s divested iteslf of all its drinks interests in 2001, and in 2002 Oddbins was sold to Castel Frères, a giant French wholesaler, wine merchant and wine producer. This news was greeted with alarm by some wine lovers and press in the UK, their fears seemingly compounded when it was announced that one of Castel’s first actions would be to cut Oddbins core range by a third. I put it to Grant that this was bad news for UK wine lovers. “Look, I’m a buyer with Oddbins, and if I felt my hands were being tied I would be the first to complain. The wines that had to be cut from the core range were wines that just didn’t sell; Oddbins is a shop, not a library or museum, but I would argue our range is no less interesting today”. In fact, Oddbins range is difficult to quantify. The fact is that about 2,500 lines are listed, though many of those will be bin-ends, special parcels, and one-off lots that will not be available in all stores. 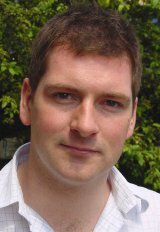 Grant says that the buyers still have a very wide ranging brief, and considerable freedom to roam and explore exciting new areas of wine interest. Certainly, with 2,500 wines, and 800 of them counted as “core”, Oddbins range still compares very favourably with other multiple retailers. Continuing support for areas like Greece, almost totally absent form other merchants’ shelves, also suggests no wholesale policy for Oddbins to shrink its range, chase brands, or dull its explorative edge.Searching for “wines over £10” on Oddbins.com brings back no less than 24-pages of wines. Try that with other major retailers web sites and compare the results. It would seem that rumours of Oddbins imminent demise, much like those for natural cork, have been exaggerated. A programme of store refurbishment continues, and my local staff seem as enthusiastic as ever and much more positive than they were a few years ago. A degree of rationalisation should ensure Oddbins survives. It is a small price to pay to preserve the store that for any British wine lover under 50, has been the seminal influence in making the UK one of the best informed wine markets in the world. I’ll leave the last word to Grant Ramage: “It is great that our forecast has elevated the subject to the mainstream news media – last week it was covered by The Evening Standard, The Daily Mail, The Scotsman, BBC Radio, The Mail on Sunday and others. The more the general public understands about the issue of cork taint and the positive reasons for choosing screwcaps, the better. They will be able to make an informed choice, rather than being prejudiced by cork industry propaganda or outmoded associations with cheap plonk. Quite simply, we want to get the wine to the wine drinker in the best possible condition. At the moment, for most of the wine Oddbins sells, screwcaps seem to be the closure best-suited to achieve this”.